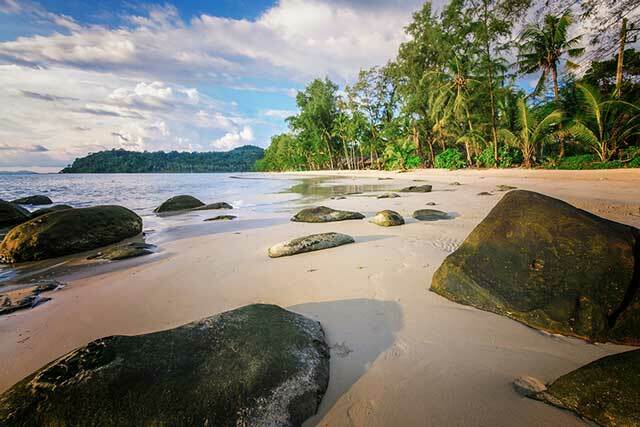 Southeast Asia is a haven for beach lovers. Renowned for its extensive coastlines and islands, teemed with rainforests clad rolling hills, tropical ambiance, and enthralling locales, Southeast Asian destinations are popular as exotic beach destinations that have been alluring wayfarers seeking to experience a refreshing Asian holiday experience. 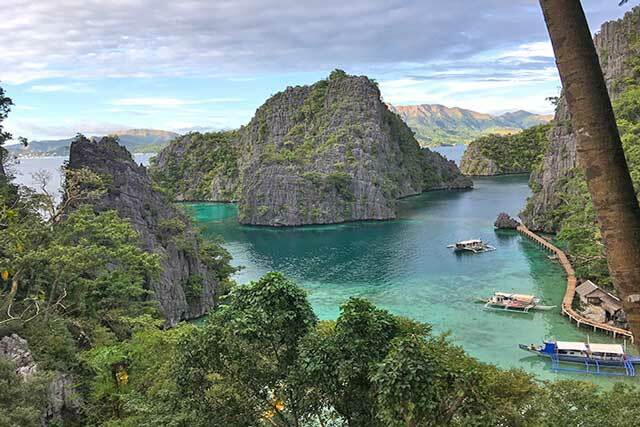 Also, individual nations are some of the most budget-conscious holiday destinations in Asia that are perfect for those who do not want their holiday to put stress on their wallets. However, as with any travel destination, it is wise to follow some guidelines on your Southeast Asia vacation. 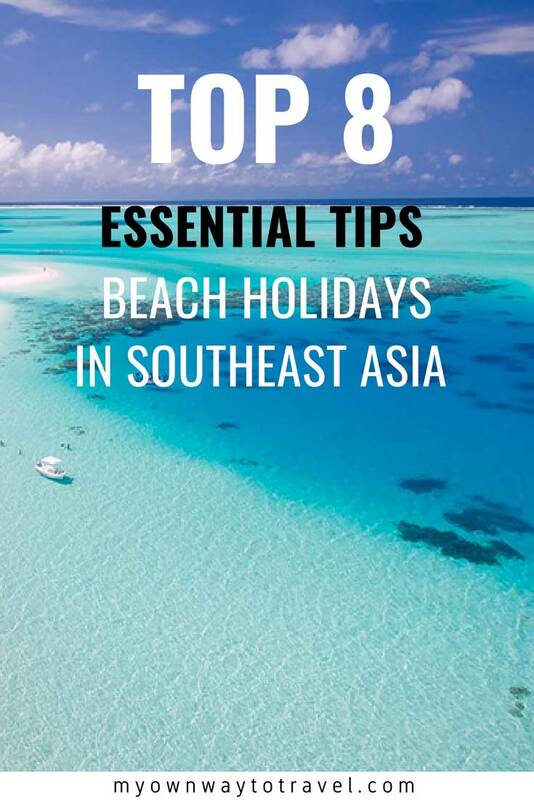 Here check out 8 top essential tips on Southeast Asia beach holidays so that all you can think about on your Asia trip is the sea, sand, and the tropical sunshine. 1 Are You On Pinterest? Click To Save These For Later Read! Southeast Asia is immensely vast. Hence while planning your Southeast Asian beach destination, decide on what you want to experience. 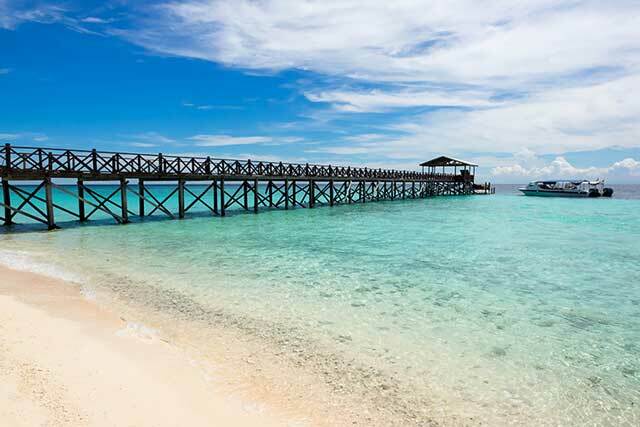 There are many best beaches in Southeast Asia. However, the best beaches in Asia like Phuket and Langkawi have already oversaturated with tourists. In case you are looking for some solace away from the crowd in a tranquil beach getaway, it is better to look at understated beach shores such as Koh Kood in Thailand or Palawan Island in the Philippines. Regarding visa formalities on Southeast Asia travel, depending upon your nationality, check which Southeast Asian countries you can travel without a visa, which offer visa on arrival service and which countries need a valid permit before arriving into their country. For instance, if you are a USA or UK citizen, you do not require a Thailand tourist visa to enter into Thailand, but you would need a valid Myanmar visa before you arrive in Myanmar. Search and book in advance a beach accommodation that suits your budget and also get an idea about how many local taxies charge so that you don’t end up paying exorbitant amounts for few miles. 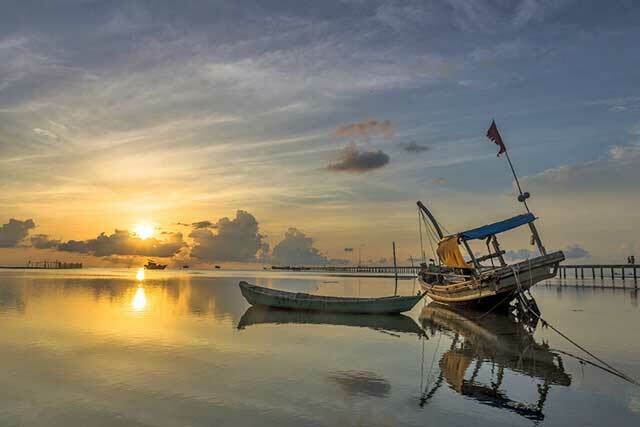 While planning a trip to Southeast Asia, it is essential to consider the weather. Plan around the months when the weather is pleasant – not too cold nor hot. However, these seasons can also be peak tourist seasons, so the ideal way to plan would be when the peak season drops and the weather is still good to hit the beaches. Check when there are torrential monsoons as there is no point if there is a downpour during a beach holiday. The low season usually gives you the best deals on accommodations and services, but these may be during winter and monsoon seasons. Most of the time, Southeast Asia has a humid tropical climate so pack best beach holiday essentials accordingly with light clothing, sun hat, sunglasses, and sunscreen. Be prepared for occasional drizzles and carry an umbrella if it comes in handy. Carry insect repellents as many coastal destinations in Southeast Asia do have mosquitoes and insect issues. Get in touch with your doctor at least a few months before your travel date and inquire whether vaccinations needed to take for the Asian country you are visiting. Usually, as a precaution, travelers to Southeast Asia need to get Hepatitis A & B, Typhoid, Diphtheria and Tetanus vaccinations before entering those countries. Carry malaria tablets as a precaution during your journey. There’s a saying that ‘When in Rome, do as the Romans do.’ This quote applies to any travel destination you visit. As a guest in the country, you should be at your best behavior so that you can have a pleasant holiday. In Southeast Asia, the culture is very different, and though it may seem like such a small gesture, you may end up offending the locals. For instance, pointing at people and touching on people’s head is frowned upon in Thailand. Hence it is better to brush up on certain customs of the place you are visiting so that you can remain in their good books. Bikinis and swimwear are accepted in Thailand and Cambodia but do cover up when you are not on the beach or in some interior beach destinations where locals are conservative and may find it inappropriate. Do look at the locals to understand what they wear to the beach and act accordingly. A resort with private access to the beach is okay with swimwear. Every country in Southeast Asia has its currency – Thai Baht in Thailand, Malaysian Ringgit in Malaysia, Vietnamese dong in Vietnam to name a few. While these countries do encourage transactions in Dollars and Euros, it is better to have some local currency handy for local services such as street shops, local transportation, and small markets. It is preferable to convert your money before you leave for your Asian destination as you can find it challenging to find places to exchange money in certain Southeast Asian countries. Airports and reputed banks are your next best options. Also, do remember to convert back any leftover change in Southeast Asian currencies to your national money before you head back home. The currencies are weaker. You may find it inconvenient to convert it back once you leave the country. Keep a currency converter app in handy that can provide you with accurate exchange rates on your journey. Southeast Asian destinations are famous for low-cost merchandises and traditional handmade crafts. Also, its street markets are popular among tourists, and you will be heading out to shop while you are there. These countries are budget friendly while shopping, market vendors usually double the price of products for foreigners. Hence it is better to learn how to haggle so that you don’t end up paying more. Ask the vendor for the best price, and you can start bargaining for a reduced cost. You can always get what you want at the adjoining shops in the market if you don’t get your desired price at one shop. You might like to book Southeast Asia tours, attractions, and activities online or check out some of the options below. Have a robust holiday plan by including a travel and health insurance during your holiday. Having a travel health insurance is crucial for any travel plan. In case of unforeseen incidents or medical emergencies, you would not have to worry about getting stuck without a financial backup plan. Travel insurance shields you from expenses you might not have predicted on your trip. Maybe your holiday did not go as planned and you lost your luggage or had a medical issue, these expenses may override your budget, and you might find yourself helpless against such financial problems. Travel insurance comes in handy at such occurrences, and you can claim compensations for these misfortunes. Besides, it is better to be prepared for travel related risks than to find yourself in soup in an unfamiliar country. You need to be alert in unacquainted surroundings. On a beach holiday, you should be vigilant about the tide timings and danger zones of the sea. Always follow instructions on the beach. If you are going for a swim, stay in swim zones and practice safety guidelines. Do not venture into isolated waters and unfamiliar coves and caves. For water sports and activities, ensure you have an instructor and lifeguards during the experience. If you are not comfortable snorkeling or scuba diving, then you should probably try it some other time. Do not accept drinks from strangers, if you are enjoying a beach party, If you feel that a particular situation feels dangerous, leave from that scene. Also, be aware of scams while you are going sightseeing as there will be cases where you can get ripped off by people taking you to visit some other place, instead of a favorite attraction or taxies charging more than the meter value. A beach holiday should feel refreshing and exciting. Idyllic beach destinations are your best bet to escape from your daily tiresome life, get off the grid and find some tranquil relaxation. Just match your trip with the perfect sunshine season, and you are good to go. 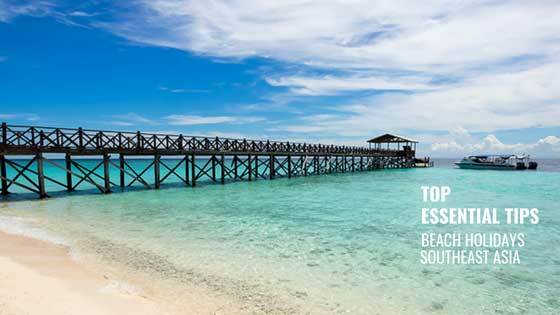 Moreover, don’t forget to take some precautions and follow essential tips to enjoy your best beach holidays in Southeast Asia. Share your top travel tips on Southeast Asian beach holidays for the ultimate sun, sea and sand experience. Priya specialized in adventurous travel writing. As an avid travel writer, her blogs and articles give deep insight into various tourist places as a perfect travel guide for someone who is traveling to an area for first-time. She has the best research, writing, and editing skills which make her easily match the reader’s interest and intellect. She has blogged about her travel experience while traveling to several places like Dubai, Malaysia, Singapore, Thailand, Europe, Canada, and the USA. I’m a big fan of SE Asia, especially the beaches. Great tips for first-timers, especially respecting the culture. I’ve seen so many people who don’t and it’s embarrassing for everyone. I agree with you Shona. Thanks for sharing your thoughts! I’ve never been to southeast asia but for a while was planning on going to Thailand in November so I will keep this saved. I like the bit about haggling with market vendors because that is something I’ve actually heard quite a bit! Thank you, Tom. Thailand is the top favorite destination among every traveler. I have visited Japan and its island Okinawa. I was unaware of tourists going to southeast asia solely for its beaches. Yes, beaches are the top attractions during the summer for foreign tourists. A fabulous post. Its so important to prepare well before visiting any place. Your guide is a delight to get amazing inputs. Especially loved “Respect Local Customs Of Asian Countries” and “Trust Your Instincts, Always”. We slow travel and these two things have always helped us get absorbed in a new place. Yes, right! Thank you for sharing your thoughts. 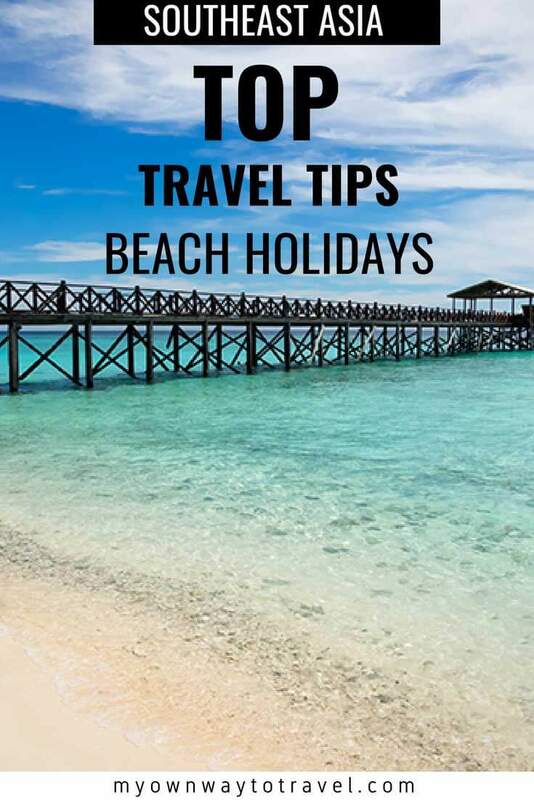 That’s some amazing tips for beach holidays. I will soon plan a trip to Thailand soon and all the points will be so useful. I will surely learn the art of bargaining for street shopping. Overall a nice and an informative post. Thanks a lot for sharing it with me. My pleasure and nice to know about your Thailand trip. I agree with all these! Especially the part about trusting your instincts. Scams are so prevalent everywhere, you have to go with your gut feeling. It’s better safe than sorry! Gah! I would LOVE to go to Southeast Asia! The beaches look amazing! These are really good tips! There is a lot to take into consideration when planning a trip to Southeast Asia. I agree with what you say about doing your research with respect to local culture. Respect is very important when visiting a new place. Also, I think it is necessary to understand the currency conversion rates. People consider Southeast an affordable area to visit. Because of that, they do not pay a lot of attention to what they are spending. Then, it is shocking when they see their bank statement. Bargaining is must when you visit any SE Asian nations. Great tips, I’m miserable at haggling though. I always feel like I’m getting ripped off while simultaneously robbing them of their money. Thanks for the tips on the quieter islands! I always chose the quieter islands if I can. Palawan Island looks beautiful. I love SE Asia! Koh Samui is one of my favorite beach destinations in Thailand. Great tips and beautiful beach photos! Love this post! It’s my goal to visit all the SE Asia countries. I really loved Vietnam, but the Phuket beaches were beautiful too. Respect. So glad you mentioned that one. SEAsia has turned into such a backpackers overload that its almost as if people have forgotten there are real locals there!! RESPECT! Interesting tip never thought of taking vaccinations for SE Asia. Been wanting to explore some beaches in Asia, so these tips will come in handy. Thanks for sharing!